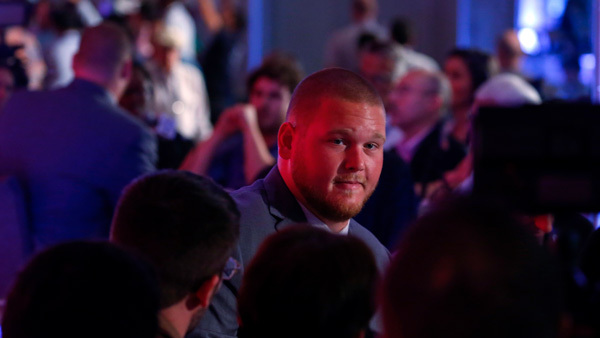 After winning the National Championship Monday night, Alabama lineman Bradley Bozeman had something else on his mind. Bozeman proposed to his girlfriend on the field and she said yes! Alabama's 26-23 thriller over Georgia was the first national championship game to go to overtime since 2003. Quarterback Tua Tagovailoa capped a second-half comeback with a 41-yard touchdown pass in overtime to fellow freshman DeVonta Smith in Monday night's win to give the Tide a fifth national championship in nine years.